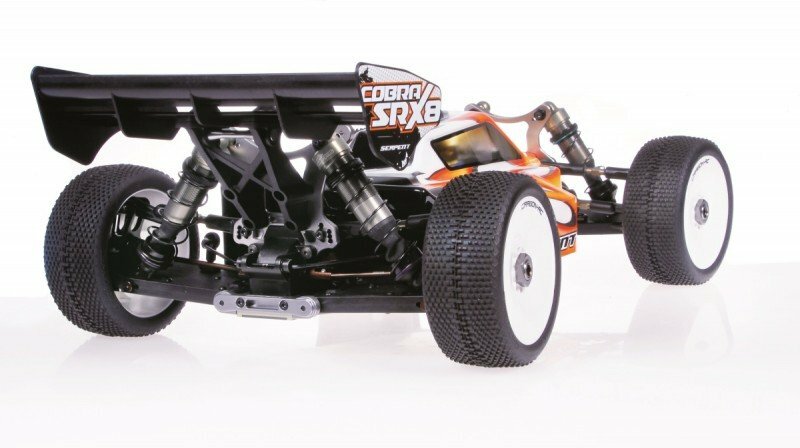 Cobra SRX8E buggy 1/8 EP High end competition racing E-buggy in block-layout ( upgrade to saddle pack as option). 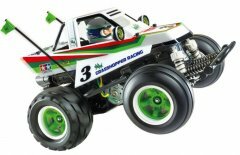 The car is designed by Billy Easton in the USA and is based on the 2016 released Cobra SRX8 gas-powered buggy and shares the whole front and rear suspension system, shocks and geardiffs. 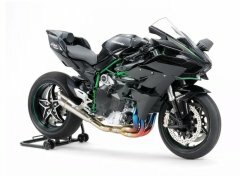 - The light machined aluminium motor holder uses a slider which is secured with only one screw, a system which Serpent applied from the very beginning in the 811-Be and 977-e already. 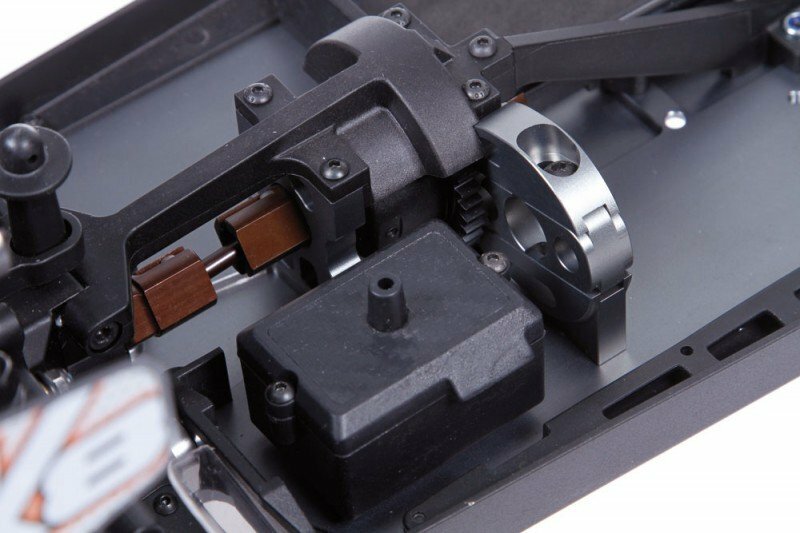 The slider plate is a little bit thicker to mount the motor and still clear the mount when sliding. Both slider and mount come grey anodised. In case of using the saddle layout, the same motor mount is used, just the centre insert is turned around 180 degrees. So a very smart, integrated and versatile design. 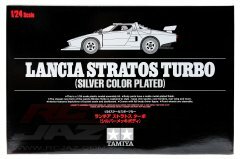 - Strong grey coated aluminium machined centre diff holder on one side and the other side is integrated in the motorholder featuring a slide, which can be turned around when used for the saddle layout. - The combined speedo holder / servo holder is a durable unit which will fit all most popular speedo’s and servo’s easily. The whole unit with mounted gear can be easily taken out for maintenance or cleaning. - The composite receiver box with cover bolts onto the chassis and fits all modern receivers, even ones with build in antennas. 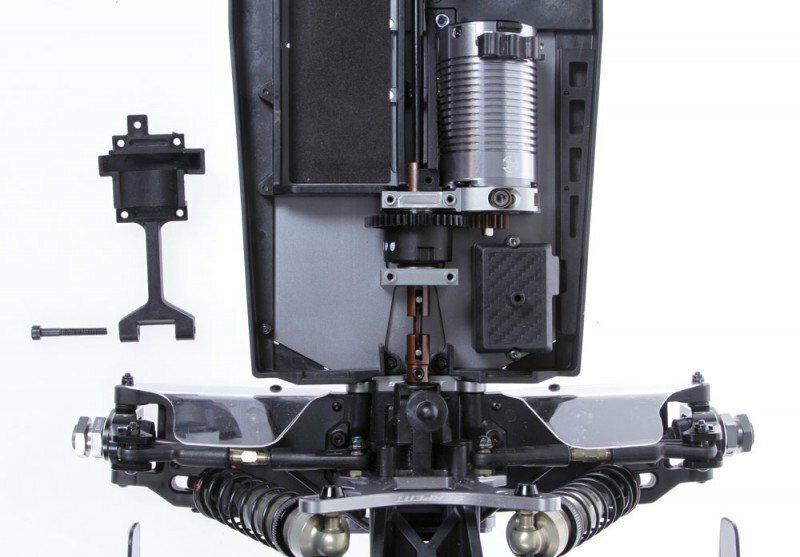 The receiver box can also be mounted in the front centre section, which is normally used in the saddle configuration only. A nice carbon looks decal on the top cover. 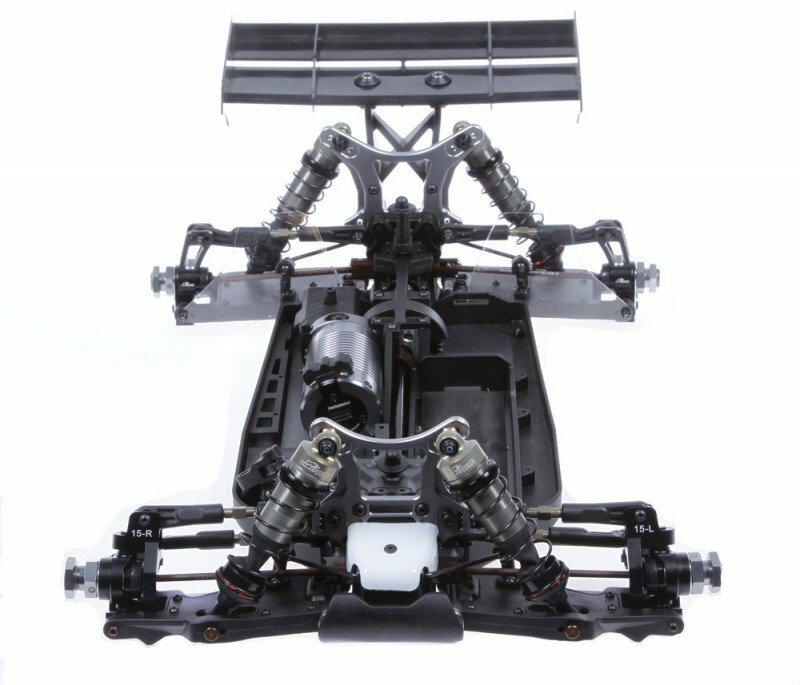 - The completely closed SRX8-E chassis is made in 4mm 7075 T6 aluminium and has flat but chamfered sides, countersunk holes and a kick up. Hard coated for durability. 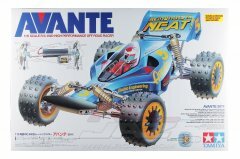 The same chassis is used for the block and saddle layout. 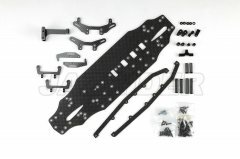 The chassis stiffness comes from the smart design integrated moulded centre stiffeners as well as the strong and durable sideguards. This package creates the optimal flex characteristics needed. - The left side-guard on the block layout features and user friendly rail and top cover to nicely guide and protect the longer receiver cable. The sideguards keep debris out and protects against side-impact. 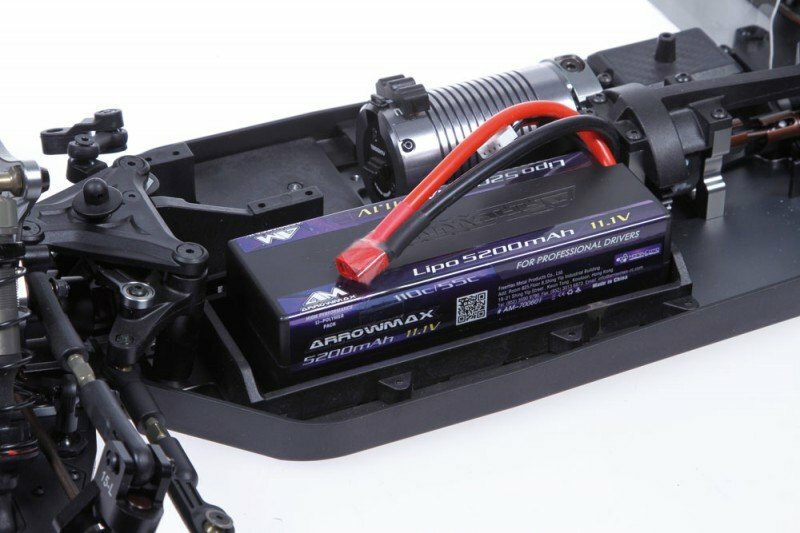 - Composite block style battery tray with self-adhesive bottom foam padding and side foams for battery protection. 3 pieces OneTouch straps are included to fasten the Lipo in position. - The lightweight long centre shaft is made in 7075 T6 aluminium, black coated and the short rear one in Serpent spring steel, dog bone style. 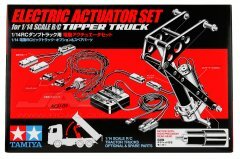 Combined with very durable and lightened spring steel driveshaft adaptors. 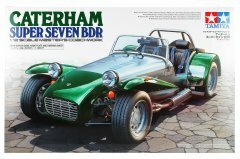 - The sturdy composite chassis stiffener in the rear doubles as geardiff-cover, and an additional stiffener in the centre connects the front and rear end. For more flex that one can be removed, as also the battery-box already adds stiffness in that area. 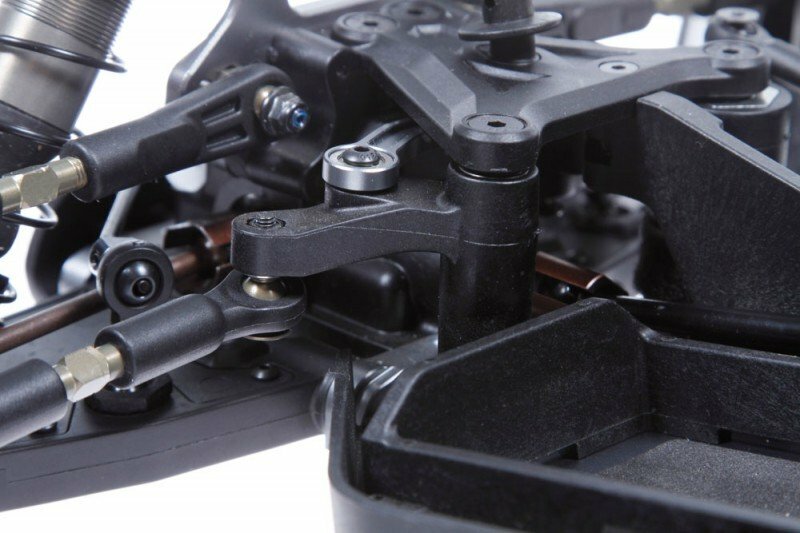 The front stiffener is integrated in the servo/speedo holder and connects to the top-bracket. 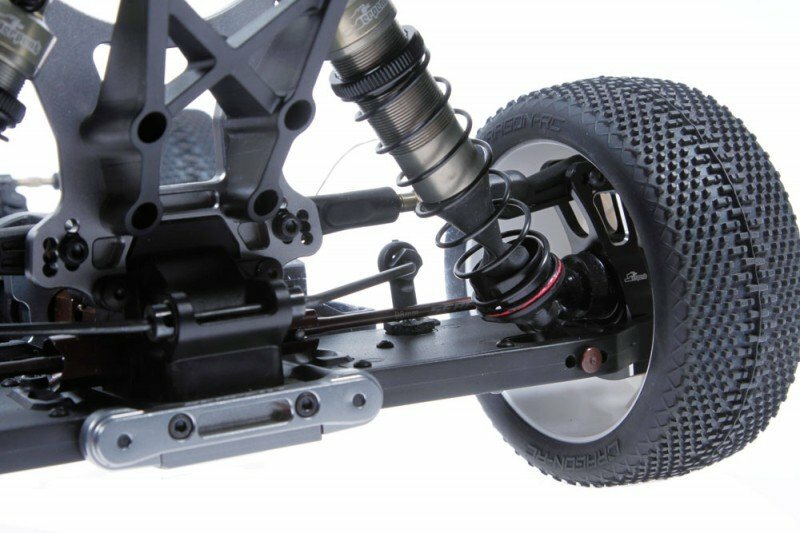 - The dual axis steering system with integrated servo saver is mounted under an angle for less bump steer and a more direct steering feel. The axels are made in lightweight aluminium. - The bell crank accepts a bearing raced crossbar with zero slop. 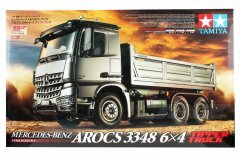 Its designed with the optimal Ackermann to increase the cars driveability. - It incorporates a helix in order to guarantee the proper operating of the servo saver assembly. 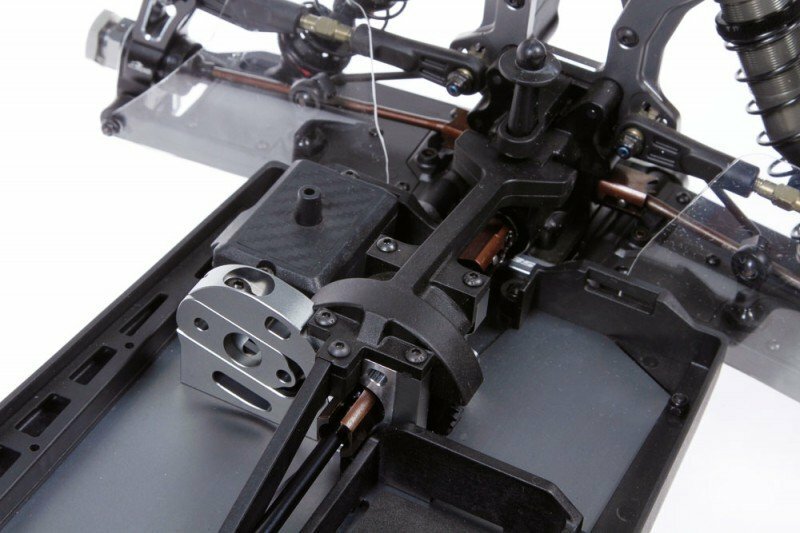 The servo saver spring is protected by a dense foam cover, to keep debris out. The spring pre-tension clamp nut can be locked in place to avoid turning loose. 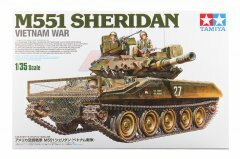 Ackermann changes can be made easily. 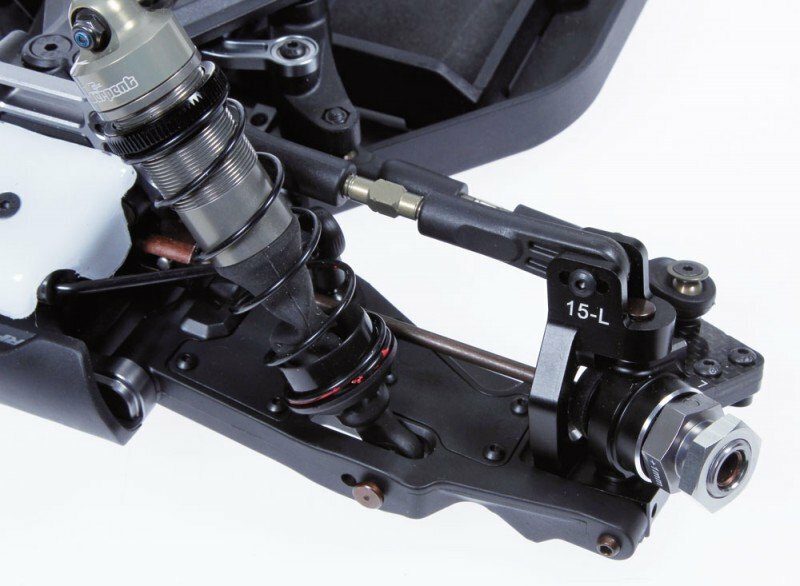 - The differential front and rear can be removed after taking out only 4 screws and removing the anti-roll bars, super-easy! - The strong moulded differential cases which contain the differential and support the shock towers. - The diff-gearcases are bigger in volume to allow more diff oil. The diff now has cavities designed specifically for closed cell foam. This foam will compensate for expansion of the oil, which will allow us to fill the diffs more full, keeping the gears fully engulfed in oil. The cavity where the gears rest has also been redesigned so that there is not low pressure zones outside of the gears. This will keep more oil on the gears even when spinning at high rpms. This in turn will keep the diff more consistent at low and high speeds as well as hot or cold. - Gears 28 / 14 / 44: The hard metal 28T and 14T satellite gears have a larger overall diameter, to make sure they are more in oil, making the diff more consistent, smoother and stronger. The steel 44T ring gear is lighter and has a perfect match with the new 28T gear. - The durable Serpent spring steel wheel axles are captured CVD style and have rubber boots to protect the system and bearings against dirt and dust, so it will all last longer. The wheel hex is a durable hard aluminium version which fits all popular wheels very well. The pins in use are 3mm ones to increase durability. 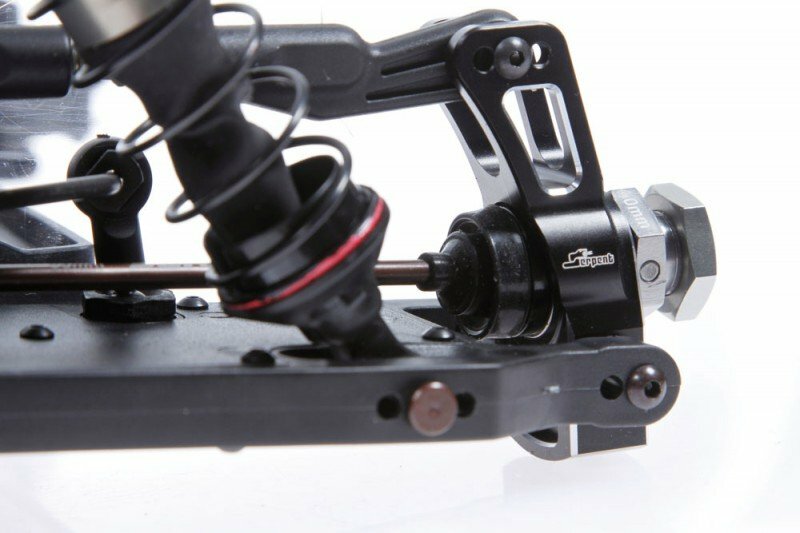 - The steering blocks are made in 7075 T6 aluminium and are anodised in black. These steering blocks have been designed to allow you to change the Ackermann at the steering spindle as well as give us the optimal scrub offset in conjunction with the caster block. The bushings press into the blocks and reduce any unwanted play. 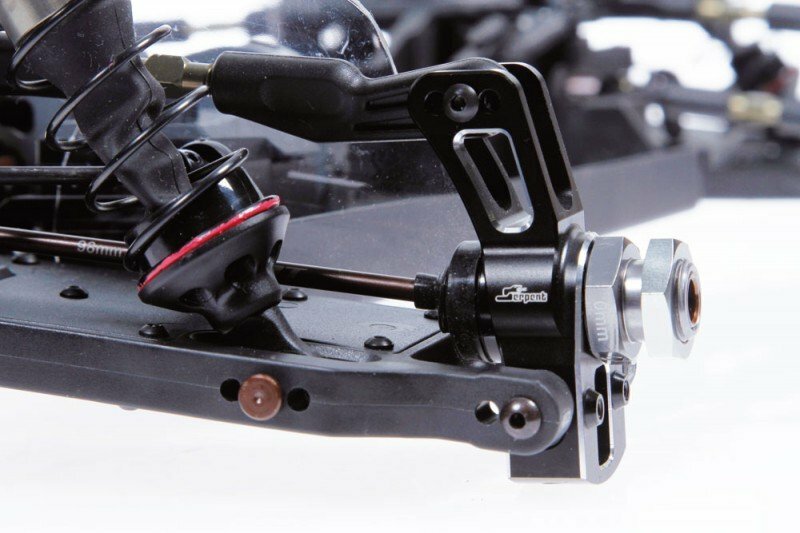 - The 15 dgr c-hubs are made in 7075 T6 aluminium and are anodised in black. 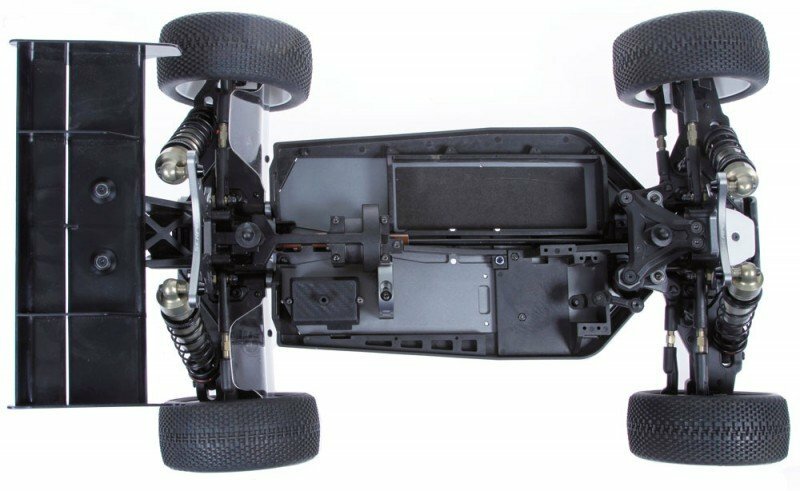 These open style very durable units allow enough space to allow for the maximum steering angle and allow space to mount the rubber dust protectors on the CVD system. As optional we offer 13, 17 and 19 dgr c-hubs too. - The uprights are made of 7075 T6 aluminium and are universal ones to be use left and right . The new uprights have the roll centre adjustment in them with small inserts. Set screws are used to tighten down on the hinge pin to eliminate any unwanted play. In the bottom part 2 threaded holes are made to allow for mounting the optional brass weights of 15 gr each for rough conditions. 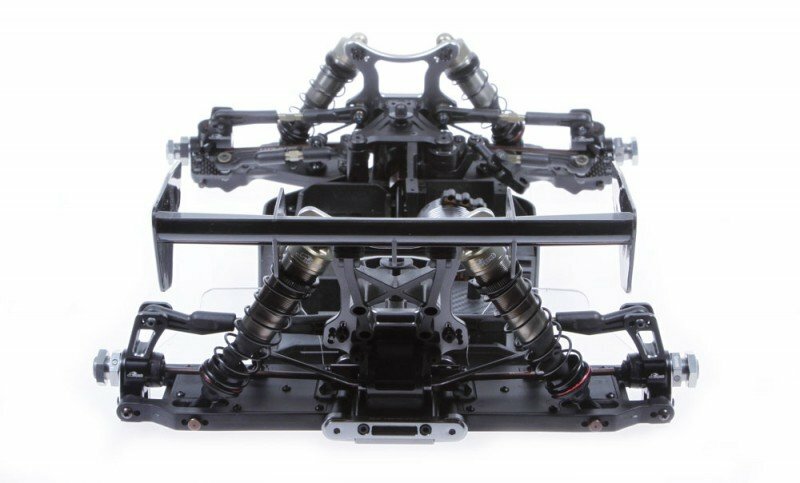 - Very durable and long moulded wishbones front and rear. The composite is chosen to have enough flex as needed. The design has pockets in the top and bottom part of each arm to mount the standard moulded insert plates, or the optional carbon fibre ones. In that way you can choose the right arm flex for each condition. Even different or no inserts front or rear and mixing moulded and carbon inserts is possible. The moulded inserts will stiffen the arms only a little, but keeps them cleaner. 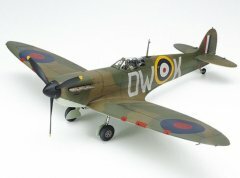 The carbon ones, or mixed with moulded ones will stiffen the arms a lot. Many options to try and apply. 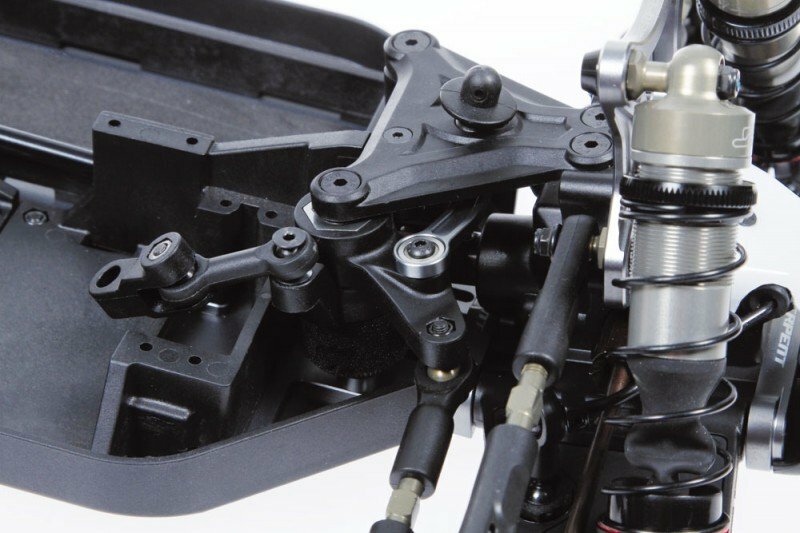 The front wishbones have 2 holes for shock-mounting, the rear ones even 3. 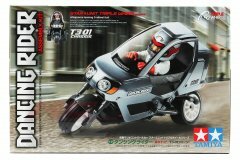 - The mudguards are offered in lightweight transparent polycarbonate and can be left clear, be painted or skinned as preferred. - The suspension brackets are CNC machined in 7075 T6 aluminium and grey anodised. They key into the chassis for perfect fit. The brackets have precision machined pockets to use a full range of moulded inserts to change the set-up. 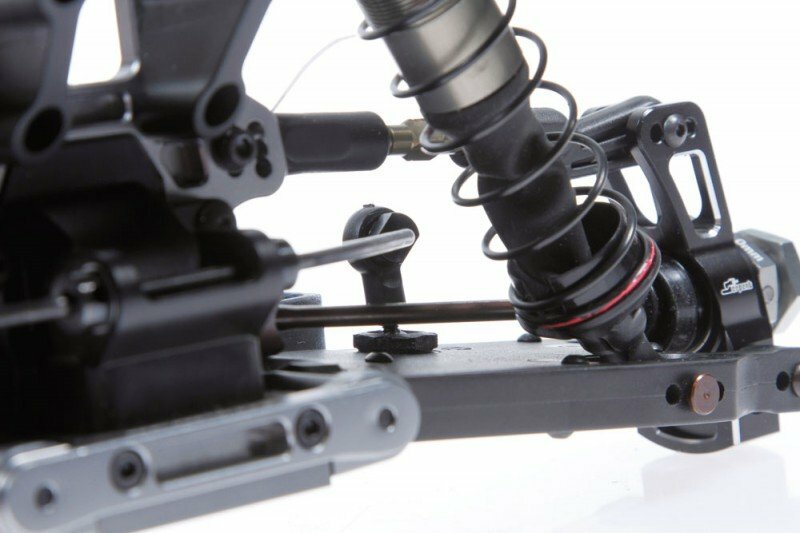 - The anti-roll bar system is the best around. Precision made wire runs in ball raced adaptors on the front and rear diff case-plates. Super free and stabile. The wire connects to a ballpoint which is fitted with a pivot ball to the wishbone. The works! - The front and rear shock towers are durable hard anodised 4.5mm 7075 T6 aluminium units, CNC machined. 4 positons each for shock-angle and 6 for roll centre. 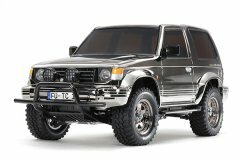 - Big bore shock with hard coated dual-system caps and hard coated bodies. Durable polished steel 3.5mm rods are used with hard anodised caps and threaded shock-bodies. A new seal pack consists of machined bushings and new x-rings and is kept in place with a small inside clip. The shock pistons are machined delrin units for best performance. The shock -tops in the kit can be used membrane style or emulsion type with seals. - Race shock spring which are hand-selected and paired. The shock springs are grinded flat for perfect operation. 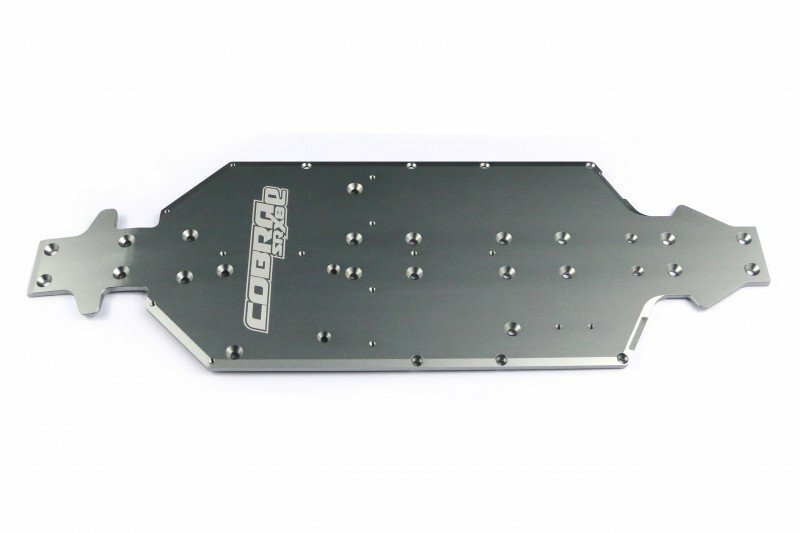 - The rear wing holder is a super durable and light one piece moulded unit. The holder has 4 different angle spacer to chose from . 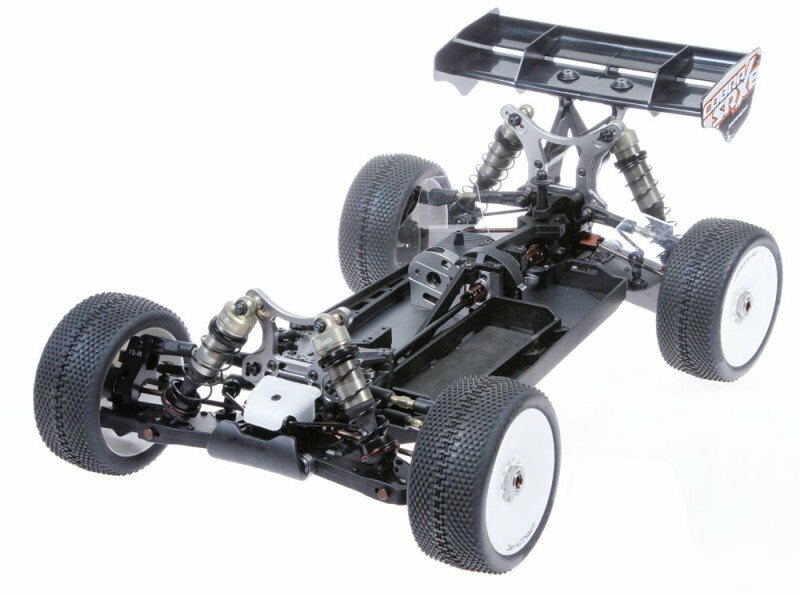 - The body for the SRX8-E buggy is a medium downforce design with steep angle front windshield, wide angled sides and stepped rear side to guide the air onto the rear section and rear wing. The body leaves plenty space to mount electronics and fans as needed. 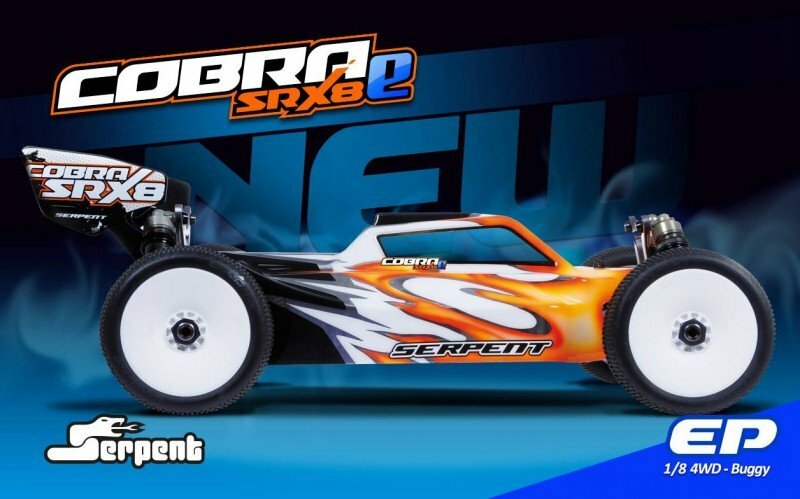 Made in top quality, clear polycarbonate and comes with a practical masking sheet and a separate Serpent and Cobra SRX8 logo decal sheet. 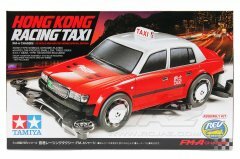 - Cab-forward style body with small fin on the roof for stability. 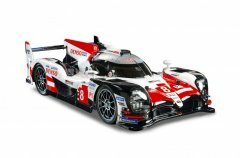 Nice flowing sides with small rear upward fins for rear downforce. Top quality polycarbonate. The body has nice trim lines for easy cutting. Same for the body holes. A masking sheet is included to assist with paintjob preps. 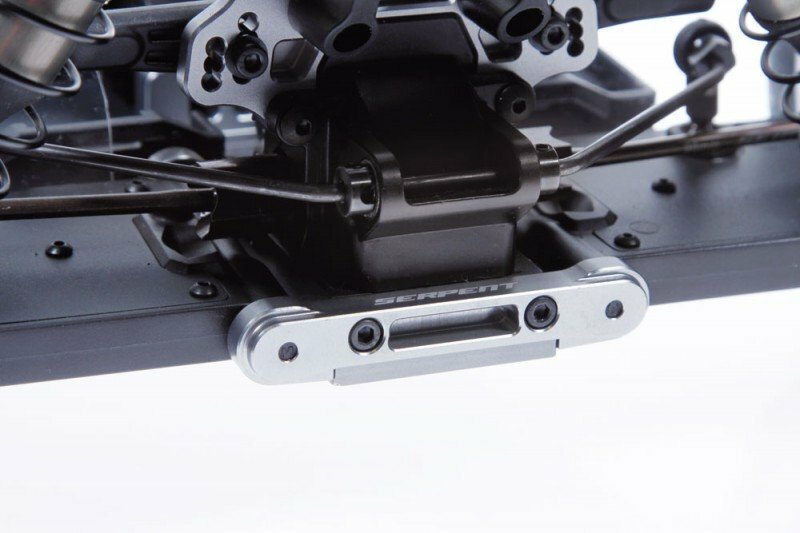 - This rear body mount has a rubber cushion in it. It allows the body mount to rotate front to rear in an impact or crash. This saves the body from breaking or tearing. The front one is a fixed type and is easy accessible.